The Indiana Photographic Society meets here at the GPAC every Wednesday from 7-9PM. There is no registration and visitors are welcome to participate at no cost. This club is for photographers, photo-historians, and enthusiasts. Activities and topics include photo critique, review, survey of techniques, and hands-on instruction. The Society exhibits the work of its members at locations around the state, including an annual exhibit here at the GPAC. Would you like more information about the meetings and who attends? Read the rest of the article for more information and an interview with one of the members. As an employee at the GPAC who has never had the chance to sit in on an entire meeting, I was interested to get a little information on what happens at a typical meeting and what people love about attending, so I did a quick interview with a member who attends every Wednesday. 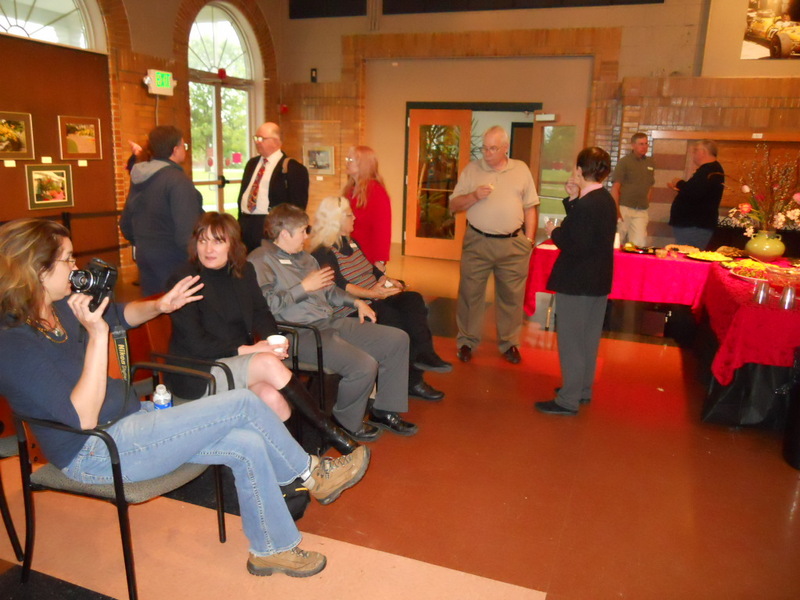 Why do you come every Wednesday to meet with the Indiana Photographic Society? What do you like most about the meetings?